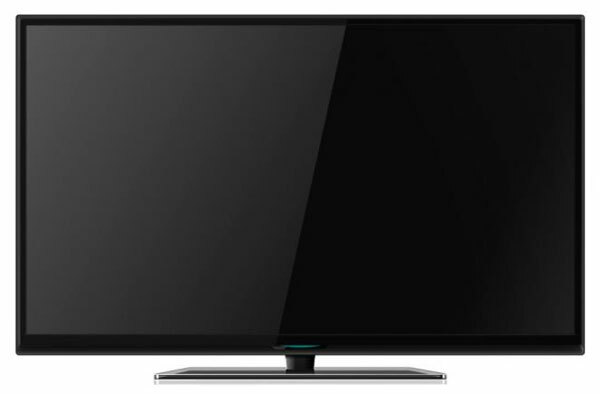 Looking to get your hands on a snazzy new 4K TV without going bankrupt in the process? Then you might just be interested in the latest new offering from Seiki Digital, whose brand new SE50UY04 4K television trounces the competition with a price tag of just US $1299 (around £850). Still think that’s a tad too pricey? Well perhaps, but when you consider that Sony’s 65-inch XBR-65X900A and 45-inch 4K XBR-55X900A are both set to cost in the region of $4999 and $6999 when they go on sale in the USA, that $1299 asking price looks altogether much more enticing. Set to go on sale in the US later this month at selected resellers including Amazon and TigerDirect, the SE50UY04 marks Seiki’s first foray into the Ultra HD 4K market. The company is also planning to step things up with a 65-inch 4K model later in the year, but so far hasn’t given pricing details on this model. Both sets however, will be able to support a maximum 3840 x 2160 resolution, four times that of today’s current crop of HDTVs. Announcing the launch, Seiki’s Executive Vice President Frank Kenzora said that his company is leading the charge to make the next generation of HD televisions affordable to regular consumers. “At our price point, consumers can future-proof their next TV purchase with next-generation 4K TV technology, enjoy current high-definition video content, and be ready to experience Ultra HD when it becomes mainstream in the near future,” added Kenzora. The SE50UY04’s spec sheet, available on the Seiki website, reveals that the 4K TV is a 2160p, 120Hz, LED HDTV with 3840 x 2160 resolution. It also boasts a 5000:1 contrast ratio, 16:9 aspect ratio, and 65.ms response time, together with connectivity options including 3 HDMI ports and a VGA port. Available outputs include RCA, Coaxial Digital Audio and a headphone mini-jack, while additional features include built-in digital and analog tuning, plus two built-in speakers. For a 4K TV with those kind of specs, readers are probably thinking this all sounds too good to be true, but then again Seiki has established a reputation for itself as a value-drive HDTV manufacturer in today’s highly competitive market. Clearly, its latest model is aimed at smart buyers who want the best digital entertainment experience around and don’t care for brand names. As for the all-important picture quality, this remains something of a question mark. The Seiki SE50UY04 is only available to purchase online so it’s impossible to see it in action before you buy, although Gizmodo’s Mario Aguilar did manage get a look at one, describing the image quality as “totally enrapturing” and likening it to a movie theatre. It’s not immediately clear if or when the Seiki SE50UY04 will be available to consumers in the United Kingdom. Seiki’s website lists a number of American websites as official suppliers, of which Amazon has a British arm. However, a search of Amazon UK didn’t turn up anything yet.